Christian Braad Thomsen portrays his close friend, German auteur Rainer Werner Fassbinder, drawing on unpublished interviews he shot with the director in the 1970s. Danish film director Christian Braad Thomsen was close friends with Rainer Werner Fassbinder throughout his career. They met when Fassbinder showed his first film Love Is Colder Than Death at the 1969 Berlinale and saw each other just three weeks before he died. The film is built around interviews that Braad Thomsen shot with Fassbinder throughout the 1970s and which have not previously been published. Director, writer, producer and film distributor Christian Braad Thomsen has established himself as an incisive culture critic and film writer as well as a passionate defender of arthouse cinema. His artistic and ideological orientation is reflected in his books on Rainer Werner Fassbinder, Alfred Hitchcock and the French New Wave directors. Films include Dear Irene (1971), Ladies on the Rocks (1983), Karen Blixen – Storyteller (1995) and Blues for Montmartre (2011). Fassbinder – To Love without Demands is produced by Christian Braad Thomsen for Kollektiv Film. The film world premieres at the Berlinale in the Panorama Dokumente section. Fassbinder – To Love without Demands is a portrait of one of the world’s most prominent filmmakers, and probably the most productive. Based on interviews Danish director Christian Braad Thomsen recorded in the 1970s, the film shows one of German film’s greatest auteurs Rainer Werner Fassbinder at his most open. 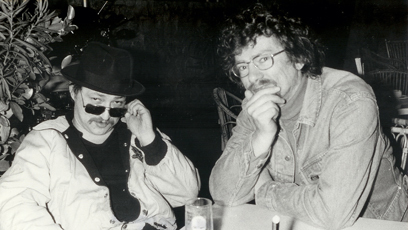 Christian Braad Thomsen was a close friend of Rainer Werner Fassbinder (1945-82) throughout his career. The two met when Fassbinder screened his first film Love Is Colder Than Death at the Berlinale in 1969, and they were together for the last time only three weeks before Fassbinder died. In less than fifteen years, Fassbinder completed 40 feature-length films and two television series, not to mention heaps of stage plays and acting roles. 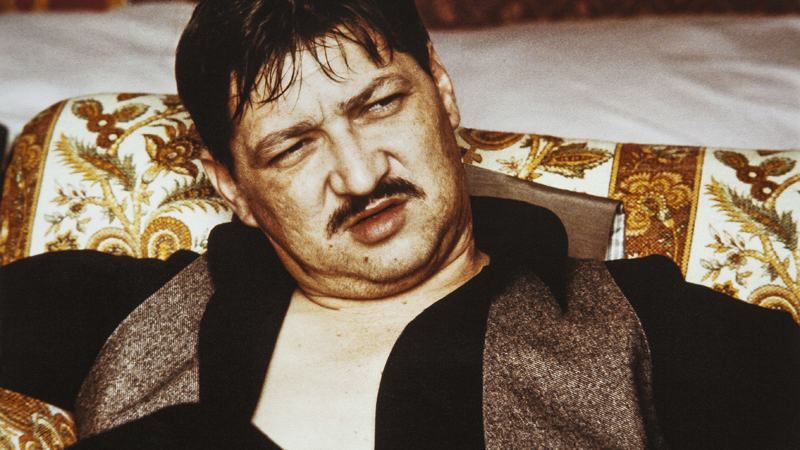 Fassbinder – To Love without Demands is built around the footage that Braad Thomsen made with Fassbinder in the 1970s – lengthy interviews that have never previously been shown. Fassbinder – To Love without Demands also contains new recollections by actress Irm Hermann. She and Fassbinder became friends while he was still unknown to the public yet dreamt of making Hollywood films in Munich. Actor and producer Harry Bär equally appears in new recordings. He was the last person to talk to Fassbinder only a few hours before he died. Finally the film brings a new interview with Andrea Schober, the child star of Fassbinder’s early films. All sequences are bound together by Braad Thomsen’s personal memories from his friendship with Fassbinder. In the film, Fassbinder talks with candour about his love for the Hollywood of his childhood, the 1970’s revolt, psychoanalysis, the emancipation of women, terrorism in West Germany, love, marriage, children – and about choosing madness as perhaps the only suitable alternative to the insanity of the ruling system. could easily be a headline for his production as a whole, and yet he created a love stronger than death in those who came close to him,” says Braad Thomsen. Below, the Danish director shares his thoughts and recollections from past times with Fassbinder, accompanied by images from his film. 1. 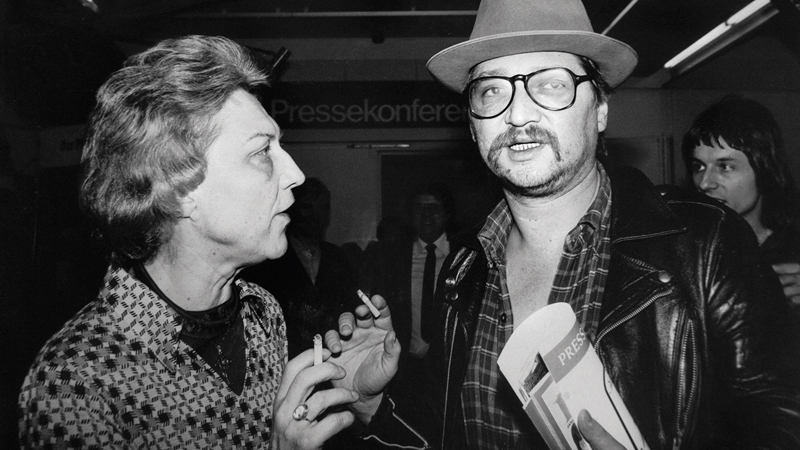 Fassbinder with his mother Lilo Pempeit who acted in several of his films. Fassbinder was just 24 when his first film, Love Is Colder Than Death, was mercilessly booed at the Berlin Film Festival. I, for my part, experienced the film as if it were the first film in the world. In a time when the language of cinema had degenerated into commercial clichés, it had now been invented anew. The static camera lingered so long on the actors that we got to linger in the frame, too, and when a cut was finally made, it felt like a cut. The actors didn’t say much, but when they did, you listened. Having filmed silence, Fassbinder now filmed the German language. That was a particular revelation for a Dane like me who was born in 1940 when German troops occupied Denmark. I grew up with a fundamental hatred of all things German, including the language itself, which I had always perceived as a soldier’s language, a language of command. Thanks to The Bitter Tears of Petra von Kant and Effi Briest, I now realised how beautiful and poetic the German language can be. 3. 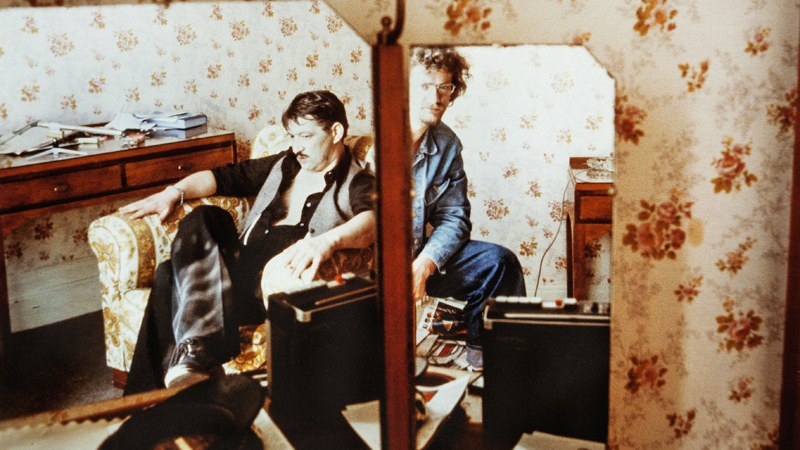 Fassbinder and Christian Braad Thomsen in Fassbinder’s hotel room at Cannes Film Festival, 1978. 4. Fassbinder and Irm Hermann in Fear Eats the Soul. There is footage of Fassbinder just eight hours before he died, in which he articulates his motto: you have to have yourself twice to become a whole person. Indeed, you can’t say one thing about him without having to say the opposite as well. At the last bar of the night he often looked like a bully you would give a wide berth on the sidewalk. Then, the next morning, when you watched him work on the set with actors, camera and lights, the frog turned into the handsomest prince. Having yourself twice may refer to Freud’s theory that a person is torn between the superego, the seat of morality, and the id, where repressed desires are stowed away. But the words may also refer to Fassbinder’s favourite prop, the mirror, in which his characters constantly have themselves over again. Take Emmi in Fear Eats the Soul, who after her first night with her Arab lover looks in the mirror and remarks that she’s just an old cleaning lady who is assumed to have put such desires behind her. 5. Fassbinder and Hanna Schygulla in Love Is Colder Than Death. 6. 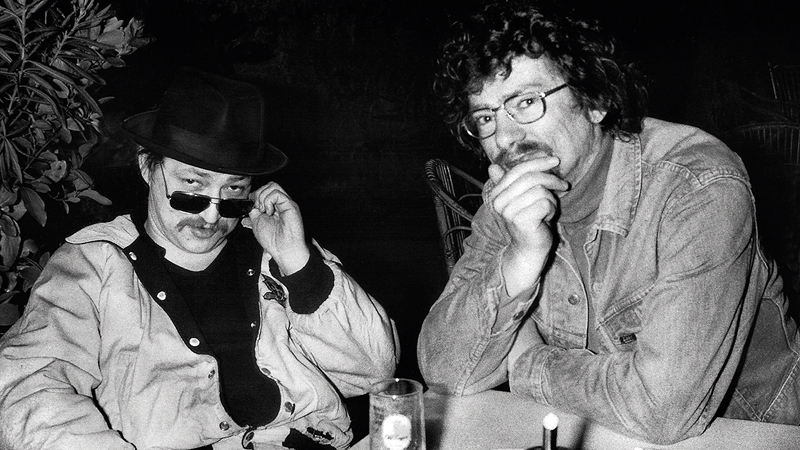 Fassbinder and Christian Braad Thomsen at Cannes Film Festival, 1974. Once during my friendship with Fassbinder, I feared it was over. I told him that I was expecting a child with my girlfriend, and he got furious and said that then I had really understood nothing of his films, which are about how we have organised ourselves so horribly with each other that bringing children into the world is utterly indefensible. And then he disappeared into the night. I was distraught, but his actress Irm Hermann later told me that he was just jealous and that he had often begged her to give him a child. But that’s where she drew the line. Fassbinder was, in a sense, himself the child he never had and no matter how insufferable he could be, perhaps these childlike qualities were precisely why we all regarded him with such love. When he made a film, he was like a child creating his own private fantasy world – or his own nightmares. His films in a certain sense are filmed from the point of view of the wondering child. Just look how grownups live! Look how they abuse each other and themselves. Fassbinder – To Love without Demands world premieres at the Berlinale in the Panorama Dokumente section. The film is produced by Christian Braad Thomsen for Kollektiv Film. German film director and screenwriter, 1945-82. One the most important figures in the New German Cinema. In a professional career that lasted less than fifteen years, he completed forty feature-length films, two television series, three short films, four video productions, twenty-four stage plays, four radio plays, and thirty-six acting roles in his own and others’ films. Fassbinder is said to be, above all, the visual interpreter of German history in the 20th century, from the collapse of the Weimar Republic to the terrorism of the 1970’s. Famous works include his feature debut Love Is Colder Than Death (1969), The Merchant of Four Seasons (1971), The Bitter Tears of Petra von Kant (1972), Fear Eats the Soul (1974), The Marriage of Maria Braun (1978), Berlin Alexanderplatz (TV, 1980), Lola (1981), Veronika Voss (1982). Director, writer, producer and film distributor, born 1940. Has established himself as an incisive culture critic and writer on film as well as a passionate defender of arthouse cinema. His artistic orientation is reflected in his books on Rainer Werner Fassbinder, Alfred Hitchcock and the French New Wave directors. Braad Thomsen has also played an important role in Denmark as an importer and distributor of arthouse films. Making his film debut in 1971, Braad Thomsen has signed feature films as well as documentaries. Award-winning feature films include Stab in the Heart (1981, Special Jury Prize in San Remo), Ladies on the Rocks (1983, Best Direction award at Atlantic Film Festival), and The Blue Monk (1998, Carl Th. Dreyer Prize in Copenhagen). His latest films include the musical portraits The Voice of Iran – Mohammad Reza Shajarian (2006), Marilyn Mazur – Queen of Percussion (2006) and Blues for Montmartre (2011). 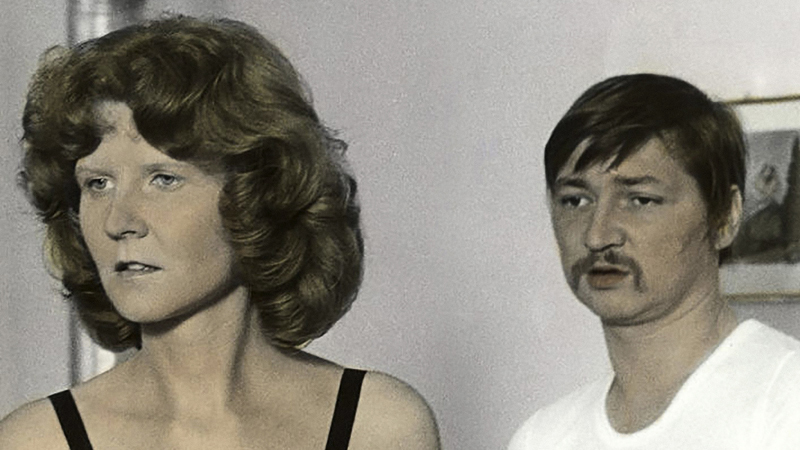 Fassbinder – To Love without Demands (2015) world premieres in Panorama at the Berlinale.